It seems that all anyone talks about is digital these days. But far from being “dead,” other mediums like print are just as effective as long as the creative is good. Too often print does not receive the same level of creative quality as other mediums. But simply follow the guidelines below and “great creative” for print and digital display will return a higher ROI on your advertising investment than you might have thought possible. If you're interested in how creative plays in other media types, see our resources page, "Integrated Marketing in All Media." Clear Benefit in Headline – Ads that score high in “Call to Action” or “Reputation” have copy that offers a crystal clear benefit. Many focus on this key benefit only. Singular Message – the best ads have clean, clear messaging that produces real focus. Singular Primary Illustration – while some top ads use more than one image, many of the best use a single, clear image to underscore the singular benefit being communicated. Obvious Branding – so many poor-scoring ads obscure the name of the advertiser. The best ads ensure the brand can’t be missed. Below are are examples of top performers that will illustrate the characteristics that predict effective advertising and will inspire you to emulate them. 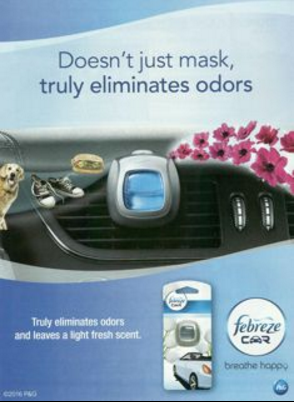 Febreze Car - With an overall ABX Index of 134 (34% above average), this ad did surprisingly well given its slightly cluttered illustration. The very strong headline leaves no doubt as to what this product can do (Message +43%). Readers felt much better about the advertiser after exposure to this ad (Reputation +62%) and fully intended to do something about it (Action +47%). 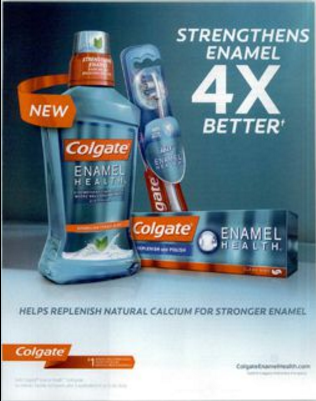 Colgate – At an ABX Index of 133, Colgate hit this one out of the park. The copy below the illustration conveys the same message as the headline and the illustration is very strong and clear. Most notable for Colgate is the super-high Reputation score at +87% above average and Action score of +42%. Magnum – No one can look at this illustration and not be captivated. Who can underestimate the power of great food photography and artwork? 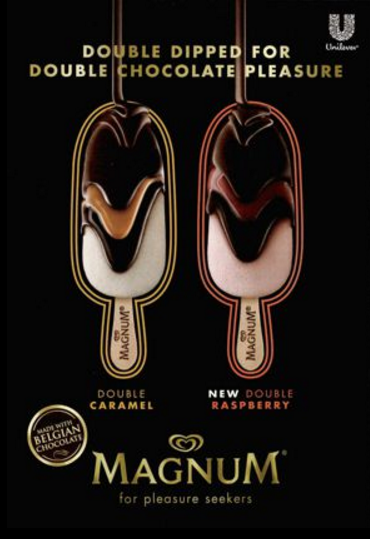 At an ABX Index of 132, Magnum (by Unilever) illustrates the singular, strong headline message with an obvious benefit for the chocolate-lover. Viewers of this ad felt better about Magnum than ever at a stunning ABX Reputation score of 201 (+101% above average). 4. 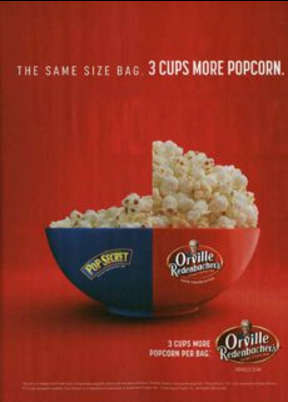 Orville Redenbacher – Finally, Orville Redenbacher’s wonderful ad below illustrates the tips above even more perfectly. One benefit message is in the headline, and the same one is in the copy, and the illustration leaves no doubt. At an ABX Index score of 130, again we see a very high Reputation score (+80%) and high intent to act. So, if you’re in the process of creating new print or online display ads, think about keeping them as simple as possible with singular benefit messaging, clear illustrations and obvious branding. You’re sure to see the results of your hard work in improved creative effectiveness and business outcomes. Next up in this series on Advertising Effectiveness: What Makes Great Radio. And, don't forget to sign up for your free copy of our eBook below!